Joan Miró’s “Broder Collection” is a series of color lithographs that, until 2004, had been inaccessible for over 30 years. 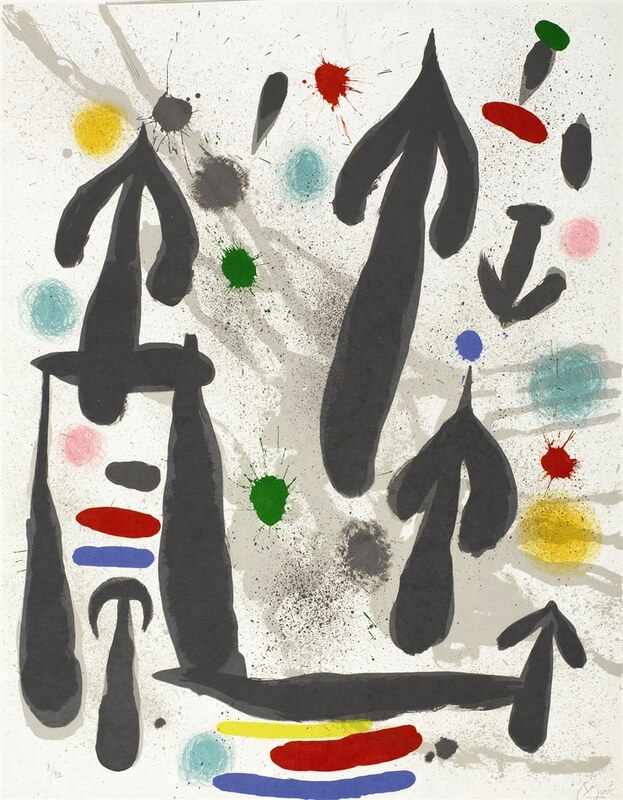 The Broder Collection’s vivid colors and obscure shapes align with Miró’s unique artistic style and desire to “assassinate art,” as he once said, enticing viewers to explore and interpret the meaning of each work. Louis Broder was a French publisher who helped bring to life many incredibly important graphic works of the 20th century. He collaborated with artists such as Pablo Picasso, Georges Braque, and André Masson, among others, to create striking visual interpretations of literature, poetry, and music. In 1956, Broder began a partnership with Joan Miró alongside Atelier Mourlot, a world-famous French lithographic studio. In 1920 when Miro was 27, he moved from Spain to Paris, and over the next 10 years gained international recognition for his exquisite Surrealist art. 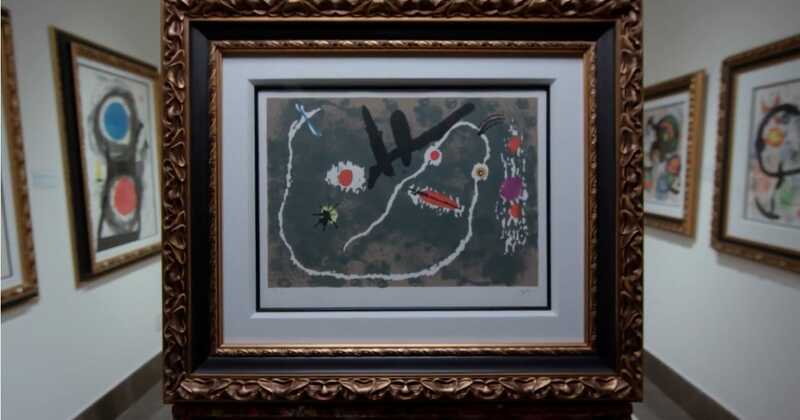 Much of Miró’s Broder Collection emulates the whimsical, dreamlike images associated with Surrealist artwork, and also juxtaposes concise, recognizable shapes with abstract figures. 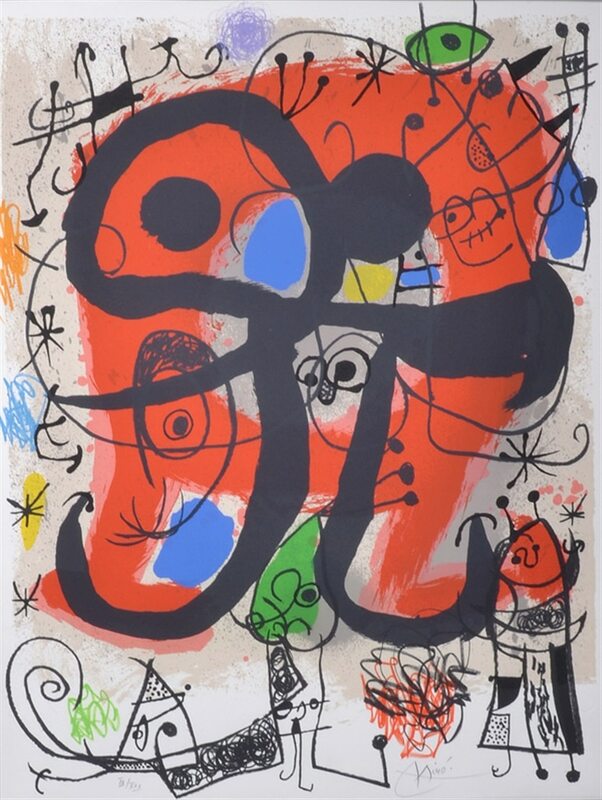 The result is an inviting, colorful scene of organized chaos that allows the viewer to freely interpret Miró’s intention with each shape and line. In addition to lithography, Miró’s talents spanned many different mediums exemplified by his skill with paintings, murals, sculptures, and etchings. In much of the artist’s work, literature played a central role, especially in creating the Broder Collection. By embracing the Surrealist concept of automatism—the automatic recording of thoughts—Miró built much of the collection by illustrating the immediate visions stimulated in his mind by poetry and literature. As a master of numerous mediums, Miró’s choice of lithography for the Broder Collection highlights an aspect of his artistic style that sets him apart from other Surrealist artists. Though the spontaneity and excitement of Miró’s Broder Collection is apparent, lithography requires detailed, careful planning. 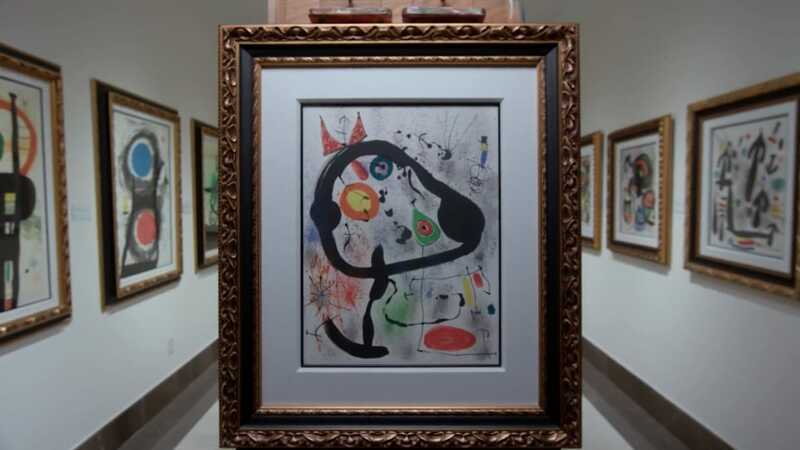 Miró selected lithography to allow a wide audience to enjoy and analyze his art. Lithographs are printed designs made by drawing on lithographic (grease-treated) stones with a grease crayon or liquid ink. Lithography is used by artists to create limited editions of their hand-drawn works in small quantities. 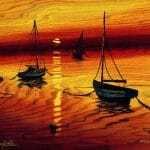 It is an extensive process that is expertly conducted by the artist—or under the direct supervision of the artist—to ensure precision and authenticity with each print. Each lithograph is hand-signed by the artist and annotated with a number to indicate how many examples of the lithograph exist. Broder’s collaboration with Miró resulted in the publication of the four hugely significant suites of color lithographs that make up what is today referred to as the Broder Collection. “Le Lézard aux Plumes d’or” (The Lizard with Golden Feathers) is a series of symbolic images based on poetic texts written by Miró. These words and images were later assembled into one of the most stunning art books of the 20th century. In creating this series, Miró visually portrays each word with curving lines, shapes, and colors in an obscure but deliberate manner. “The Seers” series offers an exploration of the physical and spiritual worlds as they relate to each other. 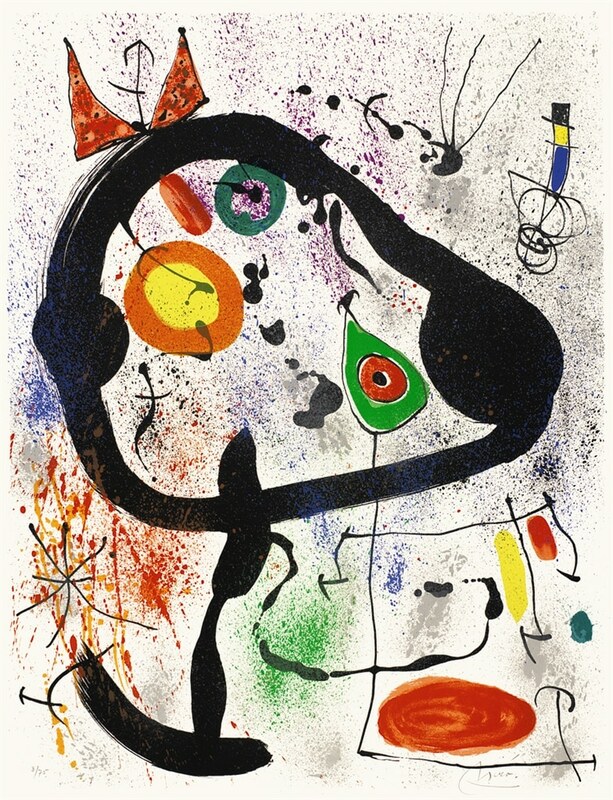 Miró uses energizing colors and undefined shapes that seemingly emerge from a white background to illustrate the struggle to understand the relationship between worlds. In a third subseries, “Les Perséides,” Miró depicts the annual Perseids meteor shower, again visually demonstrating his mythical and colorful style. Miró utilizes a color palette similar to his other subseries, focusing on primary colors with complementary strokes of black, while recreating an entirely new visual with faint arrow-like shapes. “The Migratory Bird” is the fourth subseries of the Broder Collection and, despite its specific title, is perhaps the most undefined and unclear array of shapes and colors of the subseries. The lithographs from Miró’s Broder Collection were published between 1970 and 1971, and remained sporadically accessible to art collectors throughout the early 1970s. However, the publisher’s estate archived the collection following Broder’s death and the lithographs remained unseen for over 30 years. Then, in 2004, Park West was fortunate to acquire the remaining examples of the Broder Collection through a private treaty sale. The hand-signed, numbered (or annotated) color lithographs, which has been archived since their original publication, were in pristine condition with direct provenance from the publisher’s collection. 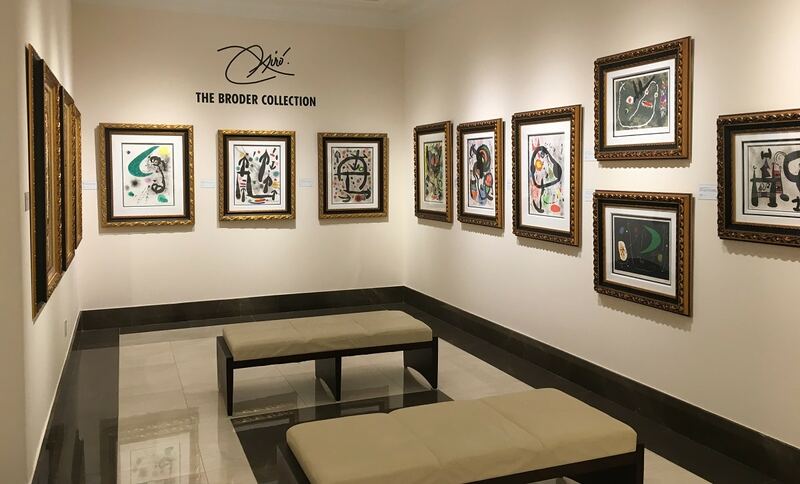 To collect lithographs from the Broder Collection or other works of art from Joan Miró, contact the Park West Gallery consultants at (800) 521-9654 ext. 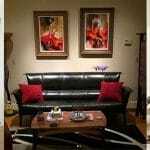 4 during business hours or at sales@parkwestgallery.com. WANT TO SEE THE BRODER COLLECTION IN PERSON? If you’re interested in Miró, The Park West Museum, just outside of Detroit, has extensive galleries devoted to the works of Miró. There are several works from the Broder Collection prominently featured in the galleries. The Broder Collection gallery at Park West Museum. Please send me mor information about Miro’s Border Collection. I would like to see what are the options you have for sale. One of our gallery consultants will be contacting you shortly! Thank you for your interest, Jose! 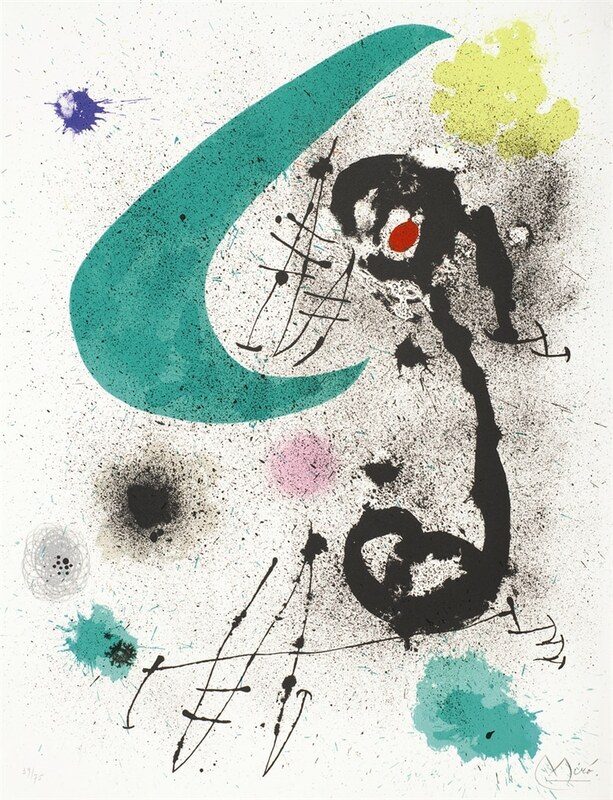 We will have our gallery consultants contact you regarding Miro lithographs. I’m interested in Seers III and Migratory Birds. Is it possible to get some prices and information on sales? Thank you Lori! 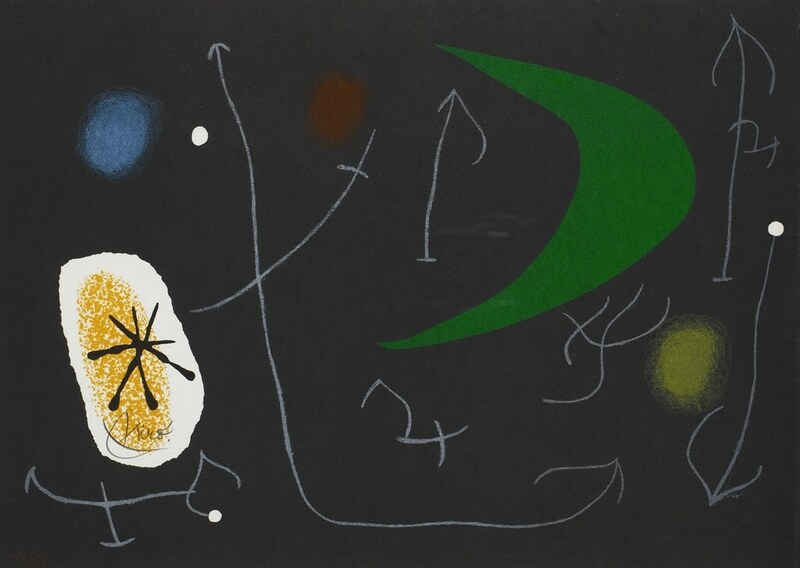 Our gallery consultants contact you soon regarding Miro’s art.